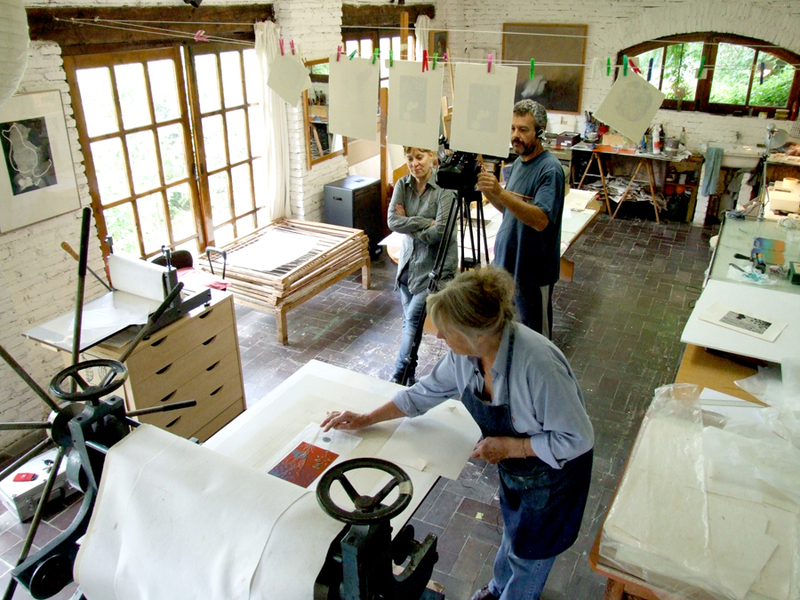 Maureen Booth, was formed in printmaking in the late 70’s under the tutelage of the master printmaker José García Lomas at the Rodríguez-Acosta Foundation in Granada. Thanks to a 30-year career as printmaker, editor, and mentor, Maureen is uniquely qualified to impart master classes in fine-art printmaking. “I was impressed with the breadth and depth of Maureen’s printmaking knowledge, as well as her generosity and winning way of imparting it,” says Deborah Maris Lader, founder and director of the Chicago Printmakers Collaborative, who recently did a solar-plate workshop in Maureen’s Granada studio. The Printmaking Master Classes project launches with five videos, and more are in the pipeline. The first five titles in the series are: Solar Plate Master Class, Liquid Metal Master Class, Creative Printing Master Class, Traditional Etching Master Class, and How to Make a Chop. All of these videos except the last one are approximately half an hour long. More information at: http://printmakingmasterclasses.com and on Maureen’s blog: http://printmakingcoursesinspain.com.